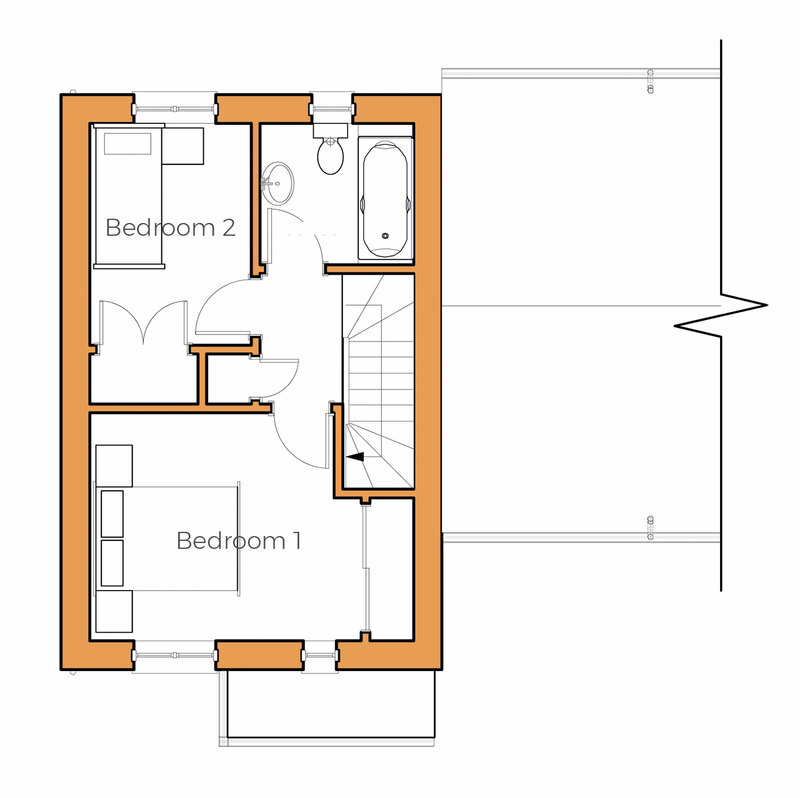 The Willow is a delightful two bedroom home. onto the enclosed rear garden. bathroom to the first floor. There is a single garage and one parking space. All photography of appliances and finishes are typical of the Osborne Gardens specification. Photography of room layouts, furnishings and decoration are indicative only. Each home at Osborne Gardens has been thoughtfully designed to provide superior comfort and style, with well designed living spaces constructed to high energy efficiency standards for lower running costs. All photography of appliances and finishes are typical of Osborne Gardens specification. Disclaimer: Whilst these particulars have been prepared with due care, for the convenience of interested purchasers, the information is intended as a preliminary guide only. The right is expressly reserved by Chichester Developments to amend or vary same, and therefore, nothing contained herein shall substitute or form part of any contract. Room sizes are believed to be accurate to within 4cm although these are given as an approximated guide only. Elevations, materials, style and position of the windows and porches can all differ in the same house type from plot to plot. 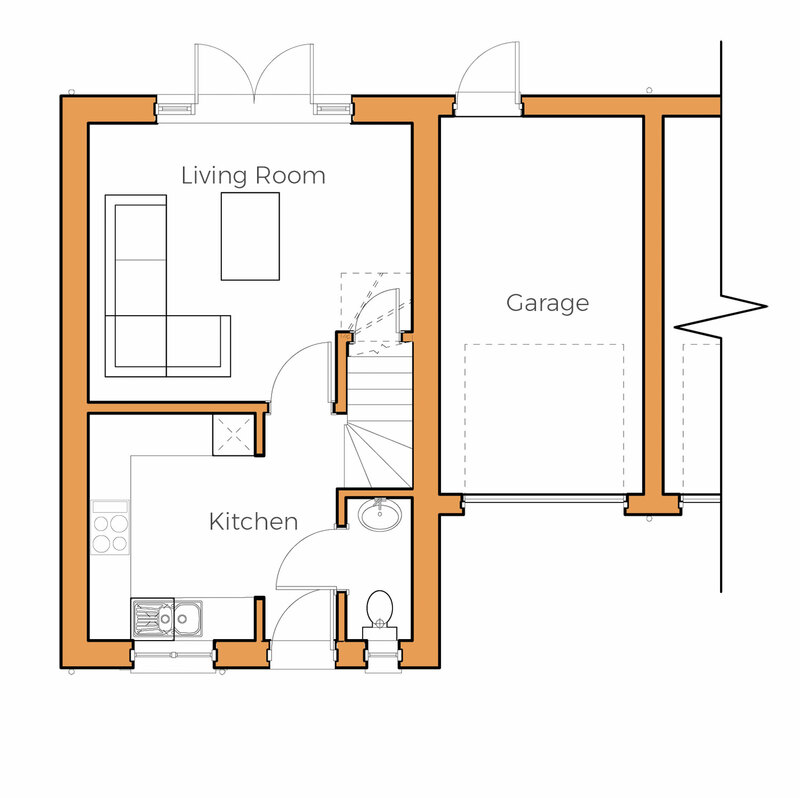 Kitchen and bathroom layouts and all images used are indicative only. If you would like further information please contact Webbers New Homes on 01271 370589.